Facebook is evolving towards one thing: video. Whether you’re just starting out, or you’re a Facebook marketing pro, you need video to profit. In this chapter, we’ll introduce you to the Facebook funnel and map out how to use video at every level. The results are in: video marketing works. And it works best on social media. Why? Because videos are visually dynamic and they’re more gripping than images and text. Videos also deliver information faster and are more memorable than text. In short, they’re attention-grabbing and informative. Couple this with relatively cheap production and you start to get a picture of why video generates better ROI than static posts. But this is only if you do it right — it’s easy to make mistakes in your Facebook ad campaigns. But, don’t worry, we’ve got your back. This book will give you the strategies and skills you need to navigate the new world of Facebook video. In particular, you’ll learn how to put video ads to work for your business and your clients. Everything is backed up by our own data and experiments, to give you a clear picture of how video can help improve your Facebook ROI. First up, let’s look at how Facebook thinks about video marketing. Social video gets 1200% more shares than text and image content combined. Facebook videos get an average of 135% more organic reach than Facebook images. 500 million people watch Facebook videos every day, totaling over 100 million hours of video watched. 45% of people watch an hour or more of video on Facebook or YouTube each day. Video marketing gets 66% more qualified leads per year. When you’re advertising on Facebook’s platform, it pays to be friends with Facebook. Here’s what we mean by that. Facebook’s ultimate goal is to get people to spend more time on their platform. The best way to do this is to get users to engage and have conversations in the app. Around 2013, Facebook was looking for ways to generate more conversations and build better Facebook communities. They did some data analysis and found that people were watching videos more than they viewed other types of content. Not only that, but people also had more conversations about videos than other content. Naturally, Facebook started optimizing their platform for video. First, they shaped the timeline to accommodate videos and added autoplay so that videos showed up as dynamic posts. They also found that people engaged with video ads more than other ad types. This was big news for Facebook. Facebook ads had become so ubiquitous that Facebook was experiencing a dip in advertising performance. Boosting engagement on the platform and refreshing the advertising scheme was a win-win for Facebook, and they started innovating ways to implement video. They optimized the timeline to accommodate video and added video creation tools that enabled people to create Facebook video posts using content they’d already posted. They also added features like Facebook live and stories to make it easy for people to produce and upload videos. And, of course they created new ad formats to give advertisers a way to leverage video in their marketing. Facebook also made some changes behind the scenes. 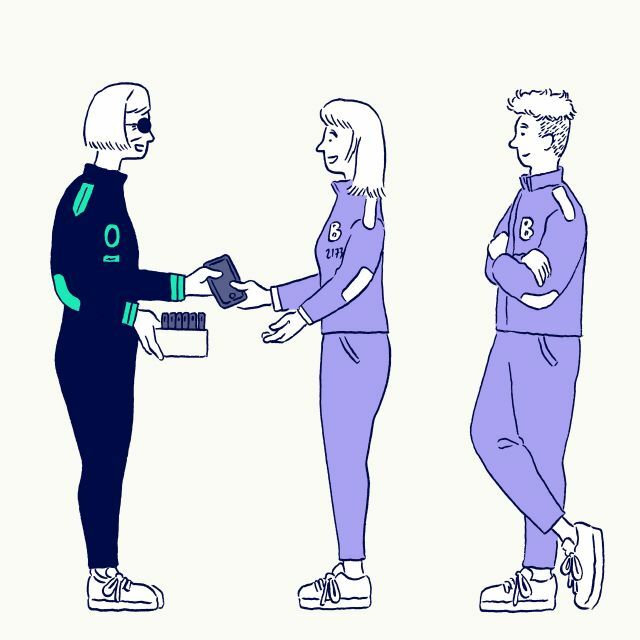 Although Facebook likes to preserve the mystery surrounding their algorithms, we do know that Facebook’s algorithms are designed to encourage interaction. The revolution continues. In 2018, Facebook decided that users are watching videos on the platform too passively. They’re now actively working to improve how well the platform drives video engagement. Facebook prefers video because it drives engagement. Using video on Facebook aligns your goals with Facebook’s goals. So, now you understand why using video on Facebook will help you be friends with Facebook. Let’s take a look at the proof. Video nearly always beat out static images on Facebook, in our experience. To prove it, we ran a simple experiment to compare the performance of one versus the other. We created one static ad and one video. Each ad is visually similar, has a similar CTA, and a clear message. Both are bright and playful. Both were served to the same audience. And each cost the same to run. For both campaigns, we chose leads as our objective. Like all the experiments in this book, we ran this ad under a pseudonym: videolab.social. This was also run on the videolab.social page. Our video version was seen by around 25% more people. The static ad was seen by 7232 people, while 9532 saw the video ad. Our video ad got 186 clicks, while the static image received just 32. That’s 480% more clicks for the video. Likewise, the cost per click was far lower for video. The video ad cost $1.19 per click. The static version cost $7.11. The video was 497% cheaper per click. While clicks are a good measure of performance, conversion is the best way to judge these campaigns and their return on investment. Both ads cost the same to make — 5 minutes max in Biteable. And they both cost the same to run. But, the video ad brought in drastically more leads. 270% more to be exact (59 vs. 16). And even more importantly, the cost per lead for the video was 280% less than the image. For static, each lead cost $14.22. For video, the cost per lead was $3.75. In a nutshell, if you want more clicks and more sales, use video instead of static in your Facebook ads. If you want to know more, take a look at our in-depth write-up of this experiment. While this experiment is specific to lead-generation campaigns, it’s indicative of the results we’ve found in other campaigns as well. What kinds of campaigns? Glad you asked. Let’s jump into the funnel and the three primary campaign types it contains. Marketers tend to overcommit to conversion ads, since they figure the only useful goal of Facebook ads is to get people to click through into the next step of the big marketing funnel. But people rarely make a purchase after seeing just one ad. Most often, they don’t even engage with the first ad they see. Focusing too much on conversions is asking too much of a single video ad. Facebook ads should have a funnel of their own. A funnel within a funnel, if you will. Facebook knows this is the most effective model. That’s why they’ve created multiple campaign types and objectives. Your Facebook ad funnel functions a lot like your overall funnel. It starts with awareness, progresses to consideration, and ends with conversion where the customer actually heads to your site and signs up or makes a purchase. The Facebook funnel creates a logical progression through your ads that introduce your brand, gains trust, and ends with prospects taking the next step in your overall funnel. Structuring your Facebook campaigns in a funnel helps you efficiently allocate your marketing budget. A proper funnel also helps the Facebook algorithm build hyper-targeted audiences that improve your ROI. The first step in building Facebook video campaigns is getting a clear view of your Facebook funnel. This will help you identify the best objectives and content for each ad. Let’s take the Facebook funnel apart and look at all the pieces to get a better idea of how it works. The Facebook funnel is broken down into three campaign types: awareness, consideration, and conversion campaigns. Since the Facebook funnel is a progression, you’ll need to give Facebook time to analyze your ads and build ideal audiences for each stage of the funnel. This means that you should implement each stage of the funnel sequentially. Let your awareness campaign run for a week or so before starting your consideration campaign. Likewise for your conversion campaign. The reason for this is because Facebook builds an audience for each stage of the funnel based on who has viewed and engaged with your ads at the previous stage. So, the main audience for your consideration ads will be people who viewed and engaged with your awareness ads. People who interacted with your consideration ads become the primary audience for your conversion ads. The purpose of awareness ads is to introduce people to your brand. This helps build trust and pave the way for further interaction, either through paid advertising or organic reach. Awareness ads should be eye-catching, since you’re targeting a cold audience. An awareness video should stop the thumb and get people to take a look. The content of an awareness video should tell your story, demonstrate what your product or service does, or explain why you created your business. When you create your ads, one option is to use a lookalike audience based on people who have already converted through Facebook. If you’ve never run ads before, another option is to start with a general audience and let Facebook build a custom audience for you. Whichever method you use, Facebook’s goal for awareness campaigns is to target people who are most likely to watch the first three seconds of your video. So make sure that the first three seconds are attention grabbing. As you run your awareness campaigns, keep an eye on your impressions and video completions metrics. Impressions will tell you if you’re targeting the right audience. If you’re targeting the wrong people, your impressions will be low. Video completions tells you whether or not your video is getting enough attention and if the information is useful. A low video completion rate suggests that your opening may not be catchy enough or the content isn’t captivating. Ultimately, your focus should be on building trust. You want to create enough rapport and interest that people who have seen your awareness ad will be interested in clicking on your consideration ad. Since the goal is simply to deliver information and build an audience based on behavioral data, you can create ads without a hard call to action. Your call to action is essentially getting people to watch the video. Use the first three seconds of your awareness videos to highlight an eye-catching feature or benefit. Tell your story, explain the why of your business, or show what your product or service does. Focus on building trust and creating interest. Feel free to create awareness video ads without a call to action. Watching your video to completion is the action you want them to take. Monitor the impressions and video completions in your awareness campaigns. Consideration ads are designed to provide comparison information for people who saw your awareness ads and have some level of interest in your product or service. At the consideration stage, your videos should give people an insight as to how you differ from the competition. Demonstration videos, feature highlights, and comparison videos work great at the consideration stage. Videos for consideration ads should be short and designed to get the prospects to click through for more information. Consideration campaigns should focus on getting people to a landing page or a blog that gives detailed information about your product or presents your company as an authority in your industry. Consideration ads and the pages they link to should have links for people to convert if they want to. But the goal is just to educate them about why your brand is the best choice. Since the goal is to inform, soft calls to action work best in consideration ads. The audience for your consideration campaigns should be the people who have viewed and engaged with your awareness ads. Additionally, you can build a lookalike audience from the audience that engaged with your awareness ads. In the end, the goal of your consideration ads is to target people who’ve shown some interest in your product and direct them to information that will help them with their evaluation. Use videos that demonstrate what your product does, highlight features or compare your product to alternatives. Keep videos short, so that people have a reason to click through for more information. Don’t give away the whole pie. Link to an informative landing page, blog post, or downloadable document that details benefits or presents your company as an authority in the field. Use soft calls to action. Target people who have viewed and engaged with your awareness ads. This is the part where you actually get people to drive into buy town. Conversion ads are essentially remarketing ads. This is where you use video to present case studies, social proof, and show key benefits that your product or service delivers. Conversion ads should take people to a sales or sign-up page so they can complete their buying journey. A direct call to action works well at the conversion stage. The key with conversion ads is that they are seen exclusively by people who have already watched your consideration ads and/or have been to a landing page or read one of your blogs. That’s why a conversion campaign is essentially remarketing. You’re targeting people who have shown interest and even had an opportunity to convert, but need one last push or piece of information to complete the buying process. Use case study, social proof, and key benefits videos. Link to a sales or sign-up page. Use a hard call to action. Target people who have already been to a landing page or read one of your blogs. While campaigns are the major components of your Facebook funnel, using the right campaign objectives is what determines how effective your Facebook marketing is. Marketing objectives are what you use to communicate to the Facebook algorithm what you need from each of your campaigns. Facebook will let you create any campaign type with almost any marketing objective. However, each marketing objective has a corresponding ad type that works best with that goal. Using the right objectives with the matching campaign types ensures that your Facebook ads move audiences through your Facebook funnel efficiently and helps the Facebook algorithm build the best custom audiences for ad targeting. Overusing the conversion marketing objective is one of the biggest mistakes marketers make with their awareness campaigns. In a traditional marketing funnel, using conversion objectives for everything would make sense, since taking the next step is technically a conversion action. But, remember that your awareness campaigns may not have a CTA at all. So, prospects are passively moved from the awareness stage of the funnel to the consideration stage once they’ve engaged with an awareness ad, or completed a video on one of your Facebook video ads. Using other objectives will cause the Facebook algorithm to build an incorrect audience for your consideration and conversion ads. It can also cause your data to look very odd if your ads are designed to achieve the wrong objective. Again, it’s tempting to go straight to that conversion objective, since you’re at the point where your ads are asking for prospects to take some action. But Facebook has wisely given you some options so that you can match your consideration ad objectives with your external marketing materials. You’ll want to select the marketing objective that matches what the prospect is going to see when they click through on an ad. If you’re linking to a landing page, your objective is landing page views. If you’re linking to a blog, your objective is traffic. If you’re linking to a lead page with a lead magnet or tripwire, your objective is lead form generation. Using conversions as an objective at the consideration stage can cause a big shortage in audiences for your conversion ads. Conversion is considered the last action a customer takes. So, if you select conversions as your objective for your consideration ads, the algorithm treats conversions as completed sales that don’t need more ads. Facebook won’t serve them consideration ads unless you create a remarketing campaign targeting people who have already purchased. In this case, the Facebook algorithm thinks that you’re looking to get people to make repeat purchases. This is not the case if people in your conversion audiences have only viewed a blog or completed a lead generation form. Given the power of the Facebook algorithm, little miscues like this can have more serious consequences than you might expect. This is where you finally get to target conversions and purchases. In your conversion campaigns, you’re linking to a sales or sign-up page where the prospect takes the last step in the buying process. This means that conversions are true conversions. Facebook will create an audience of prospects who have already converted, which you can use to create lookalike audiences to make your funnel more efficient. Facebook will also stop serving ads to users who have already converted. If you want to encourage repeat purchases, you can create remarketing campaigns that target people who have already made purchases. It’s best to create separate ads for these campaigns to avoid boring or irritating your customers. Now that you know how the Facebook funnel is structured, we need to address two incredibly important aspects of Facebook marketing: audiences and cost/benefit analysis. We’ve mentioned the Facebook algorithm a lot so far. That’s because the Facebook algorithm is incredibly powerful. Using the Facebook audience building tools takes advantage of the algorithm. It’s one more way to be friends with Facebook. Your cost/benefit analysis will tell you how well the individual pieces of your Facebook funnel are performing, so you can make logical and effective changes. The overarching theme of audience building and cost/benefit analysis is that you must set up your campaigns so that you can methodically measure and improve your Facebook marketing. Otherwise, you’ll end up swinging in the dark. You might get some hits. But there will be a lot of misses. Here’s how to build a Facebook Microfunnel that gets more hits than misses. The most important thing in building audiences for your funnel is audience segmentation. Creating properly segmented audiences will make your cost/benefit analysis (which we’ll talk about in the next section) easier and more effective. Segmenting your audiences is basically creating multiple funnels and keeping the same people in the same funnel until the conversion stage. It works like this. If you remember from the section about awareness campaigns, awareness video ads have no hard call to action. You’re just measuring how many people see the video and how many people finish it. Those two metrics will tell you how effective your video ad was for getting attention and keeping it. But, to evaluate how effective your awareness ad was for driving conversions, you’re going to need to look further down the funnel. At the consideration and conversion stages, you have harder calls to action and more definitive performance metrics. If this feels like a slippery concept to grasp, that’s okay. We’re going to break it down even further. When you run awareness ads, set up your campaigns so that the people who see an ad are grouped into their own audience. To clarify, if you create three separate awareness ads, your campaigns should generate three audiences. One audience for each ad. Later, you can create audiences that have seen a combination of awareness ads. This way you can optimize your funnel to show people only as many ads as they need. Do the same thing with your consideration and conversion ads. You might be wondering why you need a separate audience for conversion ads, since that’s the last stage. Either they convert or they need to see another conversion ad, right? The audience for your conversion ads is so you can make the most of Facebook lookalike audiences, which we’ll cover briefly in this next section. Creating very specific audiences will set you up for success with lookalike audiences and make your cost/benefit analysis more thorough. One big benefit of creating well-segmented audiences is that it makes the most of Facebook’s audience building algorithm. Facebook collects an astronomical amount of behavioral data. The better you segment your audiences, the better Facebook can identify people who have exhibited similar behaviors and buying patterns. When you first create your funnel, Facebook will collect data about what type of people are viewing and engaging with your ads. Since you’ve built your funnel to create very specific audiences, Facebook can create lookalike audiences of people who are most likely to react positively to your ads. First, this enables Facebook to show your awareness ads to more people, because the algorithm will have a very good idea of who is most likely to watch the first three seconds of your awareness videos. You can also create a lookalike audience from people who have already converted through your conversion campaigns to use for your awareness ads. Second, once you’ve started running consideration and conversion campaigns, Facebook can fast track people to the later stages of your funnel. Facebook analyzes the behavior of people who went through your funnel and converted, and then serves consideration or conversion ads to other people who demonstrate similar behavior. Smart stuff. This can shorten the funnel and speed up the buying process. With a properly structured Facebook funnel and good audience segmentation, the Facebook algorithm will identify and target the users with the lowest cost per acquisition. See how it pays to be friends with Facebook? Dennis Yu of BlitzMetrics explains how the Facebook algorithm works on your behalf, and how you can get it working harder for you. We’ll cover the specifics of analyzing your campaigns in chapter ten. But it’s important to have a high-level understanding of how to evaluate your Facebook funnel from the start. There’s a core concept in Facebook marketing cost/benefit analysis that’s fairly unique to Facebook. In your analysis, you need to also evaluate the quality of the audience that your awareness campaign is creating. Your awareness campaigns are arguably the most important. The reason you create a separate audience for each ad is so that you can identify how ready people are to consider and buy your stuff after they’ve seen an awareness ad. In short, your awareness ads will make the rest of your funnel more effective. If you feed your funnel quality leads, it will spit out conversions. Using different audiences enables you to evaluate each stage of the funnel in isolation and focus your improvement efforts on the stages where the most prospects are dropping off. To test your awareness ads, show the same consideration and conversion ads to each audience from your awareness ads. The number of people that view your landing page will show how well your awareness ads are preparing people to take the next step. The process at this stage is essentially the same, it’s just the reverse of how you test awareness ads. Show different ads to the same audience. This ensures that you’re controlling the variable of which awareness ad people saw, and isolating the consideration ads as a separate variable. If people aren’t clicking on your consideration ads no matter which audience you use, that usually tells you that there’s some trouble with your consideration ads. Keep in mind that it could also mean that all of your awareness ads aren’t working well. So you’ll need to go back and evaluate the top end of your funnel. The audience for your conversion ads comes from your consideration ads. Since people have seen at least two previous ads at this point, controlling the variables is a bit more complex, but still totally doable. Just remember to use the same audience if you want to evaluate the quality of your ads. Conversion ads are essentially remarketing, so conversion rates are more important here. But the number of people who are clicking through to the sales or sign up page is still what you’ll use for evaluating the ads themselves. In addition to making your paid ads more attention-getting, video can benefit your entire Facebook funnel if you use it properly. The reason video helps your entire funnel is because it’s so effective for demand generation, especially on Facebook. Since Facebook prioritizes content that drives discussions and helps create communities, the Facebook algorithm favors video content over other types of content. So, all of your organic video content will edge out imagery and text content to get more exposure. Yes, this means that you should be producing organic video content. Social media is a community. People trust brands that participate in that community and contribute meaningful and entertaining content to their timelines. People are more likely to buy from businesses they trust. So it’s best to use social media to show people your brand. Don’t just advertise on social media. In terms of paid ads, Facebook gives ads with video a higher relevancy score. This means that Facebook believes that people would rather see video ads than other ad types. So Facebook will show video ads more than other ad types. Right up front, Facebook video content will be a better investment than any other content type. But, there’s another big reason that video is so good for demand generation: versatility. A well-built demand generation system involves case studies, testimonials, whitepapers, blogs, and probably several other types of print media. The thing is that you can use video to deliver almost any information that you give in a text piece. It sounds wild. But think about it. You can make video versions of even long-form written content. Not only that, but most people prefer consuming video content. They also find it to be more memorable. Now, there are limitations to what you can do with video. And you should keep producing written content. Typically, the video version of a written content piece must be a condensed version of that content. A whitepaper that’s several thousand words long would make a video that’s too long for most people to watch. So when you’re converting written content to video, focus on creating a condensed version of that content that’s easier to consume and takes much less time to watch than it would to read the whole written piece. Build your videos so that emotional buyers can get enough information by just watching the videos. But keep your video content brief enough that analytical buyers will be enticed to visit whole written piece for more information. With video, you can produce a demand generation system that appeals to a broader audience and gets preference from the Facebook algorithm. Here’s how that looks for each stage of the funnel. We touched on this earlier, so this will be brief. Since your objective for awareness campaigns is simply to get people to consume information or engage with your ad, video is your best bet. It gets more attention and drives more engagement than any other content type. Not only that, but Facebook gives video content a higher relevancy score, which means they show video ads to more people than other ad types. You’re going to reach a wider audience more effectively with video ads in your awareness campaigns, which is exactly what you need. Facebook ads with video are effective in consideration campaigns for some of the same reasons that they’re effective in awareness campaigns: they’re attention-getting and Facebook shows them more. But, you can go one step further with video at the consideration stage of the funnel. If you use video ads, you can add video content to your landing pages, blogs, and lead generation pages to deliver a more consistent user experience that provides easy-to-consume information at every stage of the buying process. Video in your consideration ads can provide benefits that go beyond the Facebook platform. The attention-getting power of video holds up for conversion ads as well. Video lends itself very well to the goals of conversion campaigns. Your conversion campaigns are designed to help prospects through the last mile of the customer journey. Video is an ideal medium for delivering the quick snippets of key information that help consumers take that last step. Now you know, on a high level, how video can benefit your entire marketing funnel on Facebook. We’ll explain the specifics as you go deeper into the book. Video on social media is constantly evolving. Social platforms collect data and adapt to deliver video the way that users want to see it. This puts marketers in a bit of a pincer. On one hand, they must create videos that work well within the confines of social platforms, while also finding new ways to get people to watch and engage with their videos. There are quite a few trends that have come out of this combination of factors. Here are some new content types that look promising so far. Gary Vaynerchuk and other successful marketers have been adding progress bars to their Facebook videos. But the Facebook interface has a progress bar. Progress bars on progress bars doesn’t seem very genius, does it? It works because the built-in progress bar is usually hidden unless the user taps the screen to adjust the volume or use the other video controls. Having the progress bar embedded in the video has increased video completions because people can see how long the video is, even when the standard Facebook interface is hidden. People like to have an idea of their progress. Designers found that the same effect worked for adding progress bars to online checkout flows. People are more likely to finish a process if they know how long that process is. Marketers are starting to find success with Facebook stories. There are a few reasons that stories are so effective. First, Facebook stories are very organic in the social media environment. Users have accepted ads as a necessary part of keeping Facebook free. But that means that people readily dismiss ads. Facebook stories don’t look like ads. They look like user-generated content, and therefore get more attention. Another reason stories work is because they are viewed fullscreen. It’s a more immersive experience. The swipe up call out also gives people an easy way to take a purchasing step. Facebook instant experience (IE) ads can be created with a static image. But, an IE with a video as a header creates an ad that almost feels like a landing page, without ever leaving the app. That’s a lot of space and information delivered in a single ad. A more complete and informative experience makes the ad more effective. If you’ve noticed how many companies are using user-generated content or videos that look like they were shot on an iPhone, you’ve seen this trend in action. The idea is to make marketing videos that look more native in people’s newsfeeds. It’s a way of respecting the social media environment and creating content that fits in with what people like to see on their timelines. It circumvents people’s skepticism of ads. Obviously, the more willing people are to engage with your marketing content, the better. For new marketers and companies, the move toward more organic video content is actually great news. Preference for organic content means that advertisers can succeed with video marketing on a rather limited production budget. With a few inexpensive tools and some strategic video planning, you can produce effective videos for every stage of the Facebook funnel. As Facebook evolves past the newsfeed format vertical (9:16) will become a more common ratio than it is now. A quick story. In ye olde times, people treated Facebook video as an alternative to YouTube. The videos were horizontal and shot in 16:9 aspect ratio. This format was best for desktop computers. Then, mobile phones changed everything. Now, over half of all the internet traffic in the world originates on mobile. Video formats and the Facebook platform have evolved to look better on our mobile devices. This adaption has led to two major developments in Facebook video. 1:1 aspect ratio. The shift to a 1:1 aspect ratio on Facebook was driven entirely by how videos looked in the Facebook news feed on a mobile screen. It was one of Facebook’s earliest developments in making the platform more video friendly. 1:1 makes videos fit on the timeline better. They’re also easier to see, since square video utilizes screen space more efficiently. Vertical video. Vertical video is also a product of mobile phone use. In a way, vertical video was the next logical step from adopting the 1:1 aspect ratio. People hold their phones vertically upwards of 90% of the time. A vertical video is truly full screen when it’s maximized on a phone held vertically. The old way of shooting video horizontally wasted valuable real estate and left wide black bars at the top and bottom of the screen. Expect to see more vertical on Facebook, in a variety of ad placements. 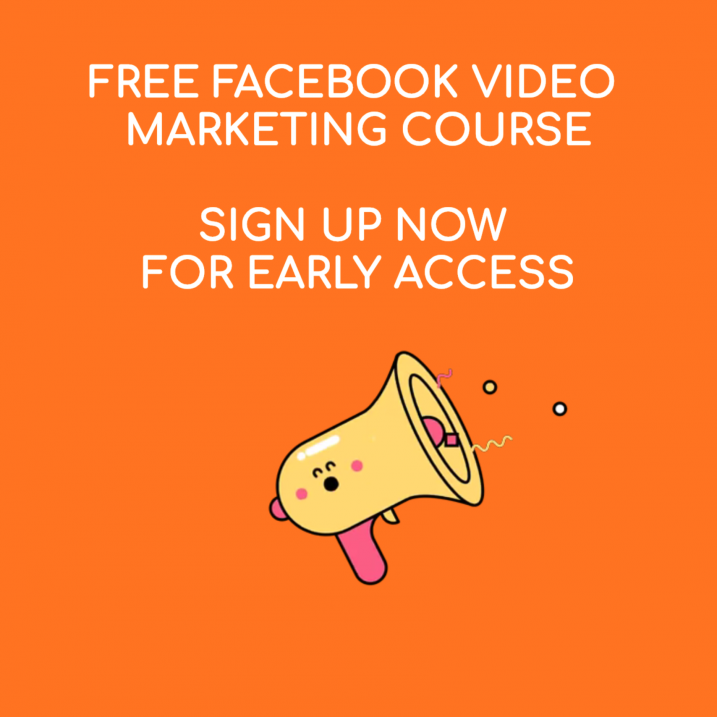 Now that you understand the place of video in the Facebook ecosystem and how to leverage it to your advantage, it’s time to look at Facebook’s entry-level tool: Boost. The boost button is an easy way to get started with video marketing on Facebook, but it’s not without its drawbacks. In chapter two , we’ll look at when it’s okay to use the boost, and when it’s to your disadvantage. The algorithm prefers video. Video outperforms text and images nearly everywhere. This is particularly true on Facebook thanks to the platforms in-built bias. Start with the funnel. Regardless of the size of your video ad campaigns, consider its place in the funnel first. Targeted marketing is effective marketing. Know your objectives. To harness the power of Facebook video ads, you need to use different objectives for each layer of the funnel. Learn your options. Video is evolving. The place of video on Facebook is constantly evolving. Harness new opportunities whenever they appear. ROI is often highest on new ad vehicles.